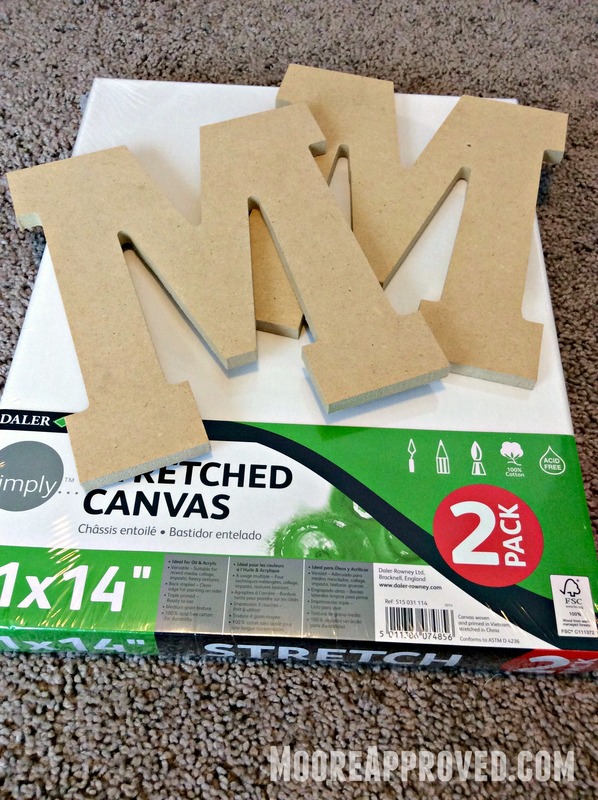 Continuing my quest to review Target’s new line of Hand Made Modern art and craft supplies, I tried out the acrylic paints and re-attempted to use the chalk paint. In a previous post, I shared that using the chalk paint and wax on a porcelain bear figurine may not have been the best idea. While the Hand Made Modern line does carry canvas and monogram letters, they were priced a little high for me. Instead, I found comparable items at Walmart for a lot less money. Currently, our house has very little in the way of décor. As in – we have none. 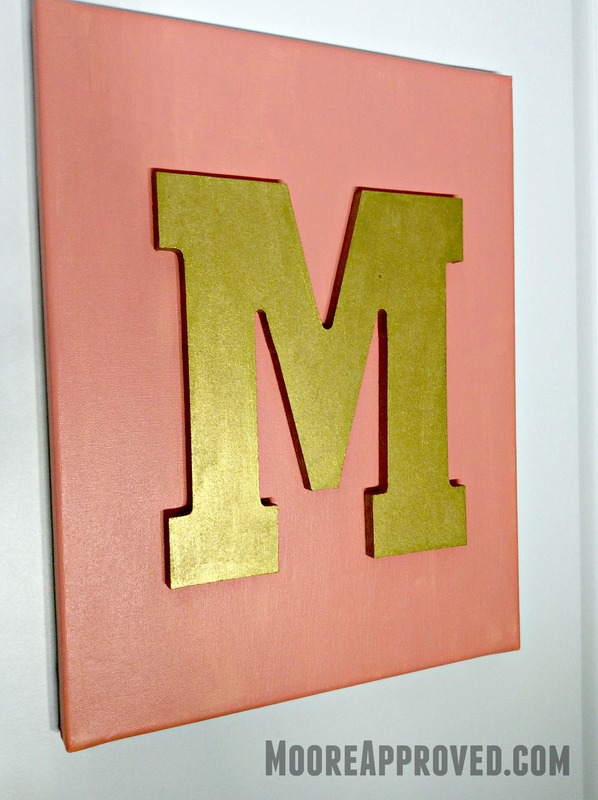 I’ve seen monogram DIY art all over Pinterest, so I figured I could make my own. On one of the 11 X 14 canvas boards, I opened several bottles of the acrylic paint and literally just dumped small amounts of it onto the canvas. Here it is looking a little Jackson Pollock. It was not at all difficult and super-fast. Then I took a couple different paint brushes and spread out the paint to evenly fill the canvas. I was NOT at all careful, and didn’t overthink it. I thought it was only fair to give the chalk paint and wax another chance to see if it performed differently on another type of surface. 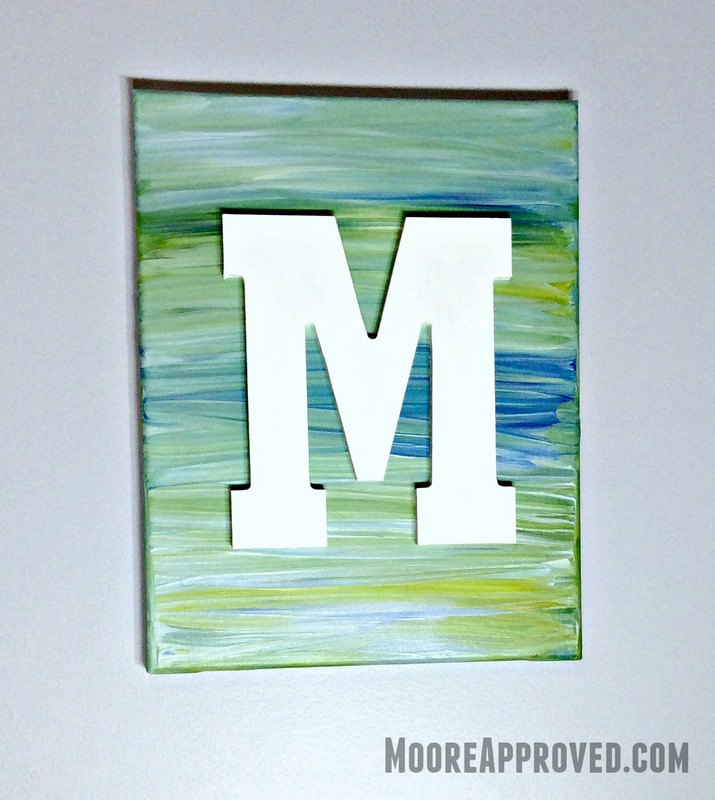 So I used it to paint one of the monogram letters made out of sort of a chip board material. The paint went on smoothly again, but this time I did not wait to start removing the excess wax after the application. One big tip – the directions tell you to use a “lint-free cloth” to buff the wax in. I started out using a microfiber cloth, but it actually left fibers all over the finish. A high quality paper towel (ie: Bounty that’s more cloth-like) seems to work best for this task. 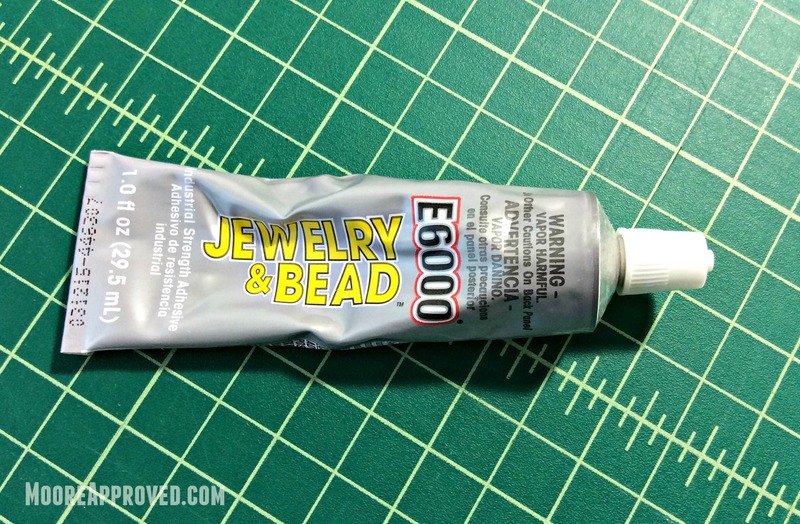 After painting both the canvas and monogram letter, I glued them together using E6000 glue. The final result? Totally great! For this coral and gold version, I used only the acrylic paints. 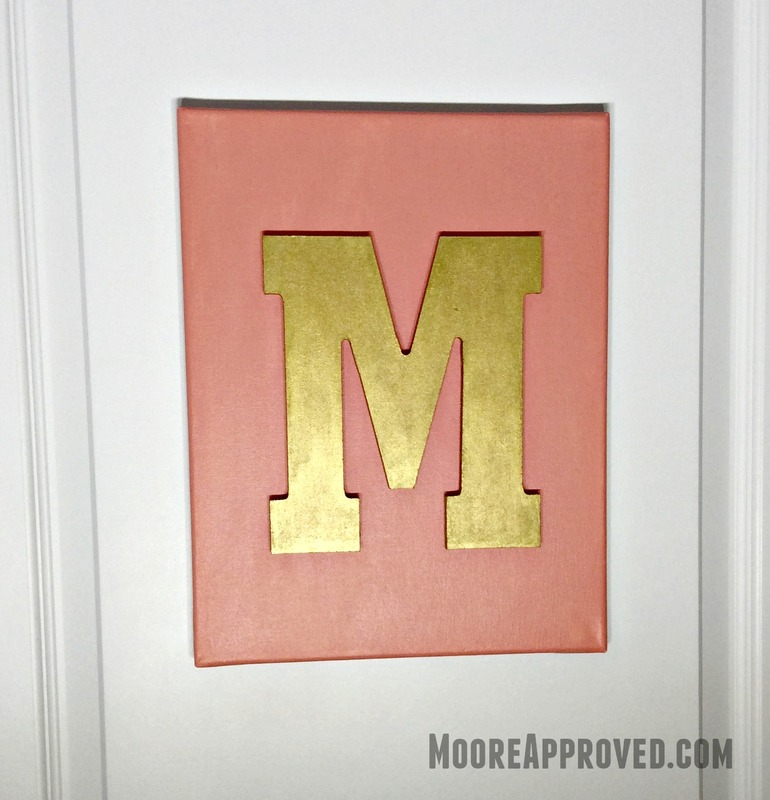 It’s now hanging on the door into the Moore Approved craft room. The blue, green, and white one is hanging IN the craft room. 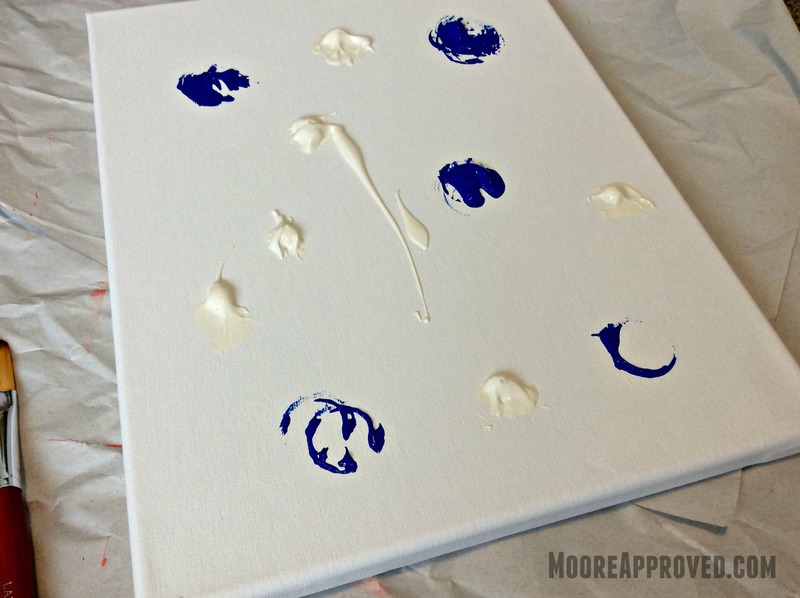 The Hand Made Modern acrylic paints and paint brushes: definitely Moore Approved. Easy to use, good application, and a decent value. However, after using the Hand Made Modern chalk paint and wax combination, I’m just not sold at this point. With a retail price of $9.99 each, they’re also on the expensive side. There are other brands of chalk paint I’ve seen at Walmart and Home Depot being sold at significantly lower price points. I may pick up some of the Americana Décor chalk paint and wax to compare. 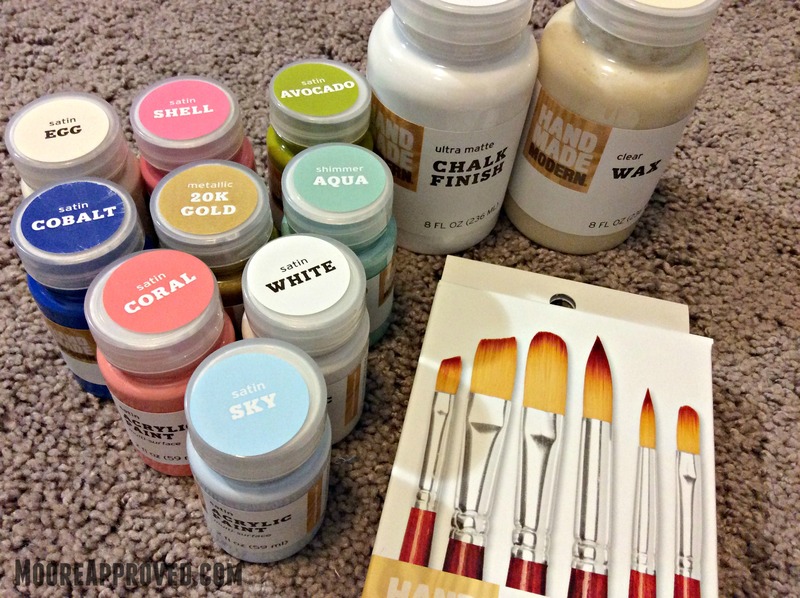 Have you tried using chalk paint before? If you have any suggestions for me that might improve the finish, I’d love to get your input in the comments section below.